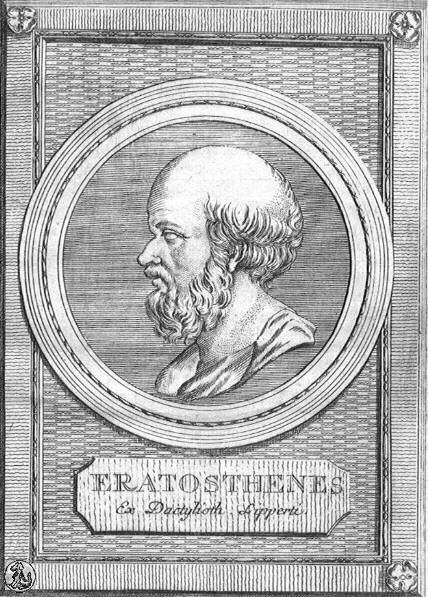 Eratosthenes was an over‐achieving Greek polymath. Born in Cyrene in Greek north Africa around 276ʙᴄ, he, among other things, invented the discipline of geography, accurately measured the circumference of the Earth and gave us the leap year. He also came up with his eponymous sieve: a quick way of finding prime numbers. The sieve works by removing composite (non‐prime) numbers from the set of the natural numbers by seiving out the multiples of each prime, one prime at a time. Six, being divisible by two, is already removed, as are twelve and eighteen, so the only numbers we remove this time are nine and fifteen. i.e. all the prime numbers under twenty-one. Implementation is rather straight‐forward. We create an array of a set size and step through the algorithm outlined above. // 0 → false, 1 → false, 2 → true, 3 → true, 4 → false, 5 → true, &c.
Now we can just do a simple, very fast, look‐up on the array to find out if a number is a prime or not. The problem with this method is that we have to decide ahead of time what the largest number we can check is; if we want to increase our look‐up table range, we have to go back to the beginning and start again. It’s also rather inefficient if we just want to check one, very large, number as we’d potentially have to calculate every prime up to that number. Large look‐up tables could also use a significant amount of memory and take a long time to create. The solution is to use a hybrid approach. For small numbers we generate a look‐up table, and for larger numbers we use something like the Miller‐Rabin algorithm1. // modular arithmetic allows us to cheat. // check so as to reduce the chances we give a false positive.